UPDATE: Luna has made it home! According to WCBS-TV, the suspected dognappers contacted her owners Friday morning, demanding a reward. 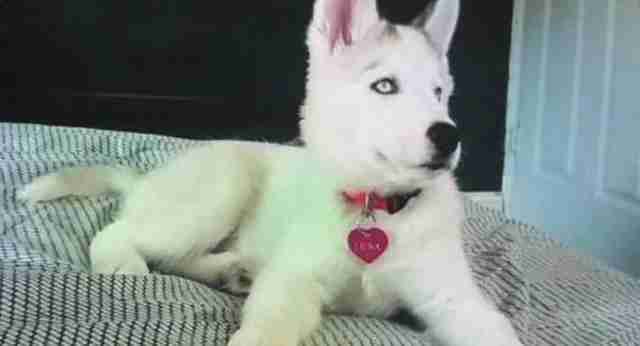 Police were then able to trace the phone call and retrieve Luna. Six suspects are reportedly now in custody. 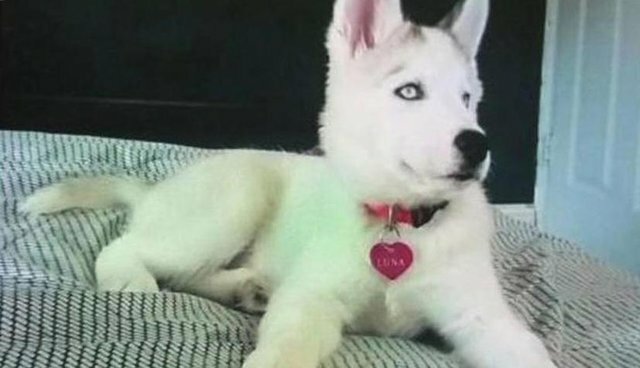 On Tuesday, a New York man returned home to make a shocking discovery: His family's apartment had been ransacked, three of their dogs had been attacked and a fourth, a 2-month-old Siberian husky named Luna, was missing. Authorities say the culprits also made off with about $1,000 cash, a video game console and Air Jordan sneakers, but victim Gaudencio Rosendo says none of those other things matter, WABC-TV reports. "I want her back," said Rosendo. "I don't care they can keep everything else, I just want the baby back." According to Rosendo's wife, Nancy Torres, police said the burglars used pepper spray on the family's other dogs and shot paintballs at them. 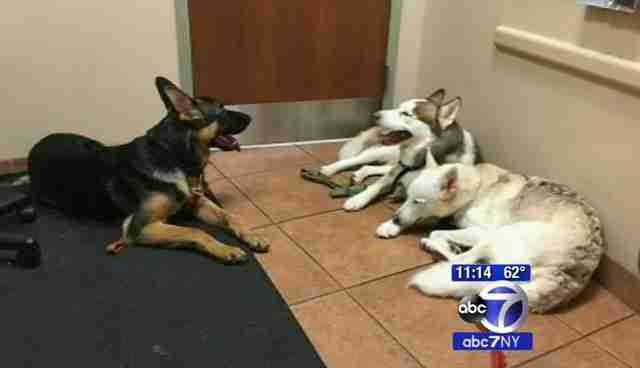 "My kids, they cry a lot in the night, they miss the puppy," Torres told WCBS-TV. "I want my puppy back." 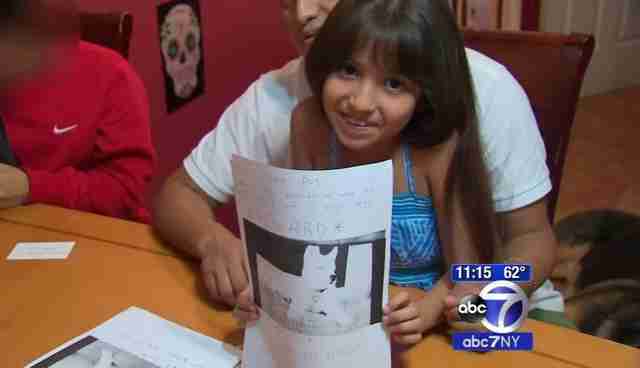 Since the break-in, Torres and her children have put up flyers hoping to get Luna back. Anyone with information about the incident is urged to call Crime Stoppers at 1-800-577-TIPS (8477), visit nypdcrimestoppers.com or text 274637 (CRIMES) and then enter TIP577.